WE ARE SMALL COMPANY WITH HUGE PLANS AND HAVE BEEN GROWING OUR BUSINESS IN THE GREATER DC AREA BY SERVICING OUR CUSTOMERS AFTER REGULAR WORKING HOURS AND WEEKENDS. AS WE CONTINUE TO GROW OUR BUSINESS WE HAVE ONE GOAL IN MIND, AND THAT IS TO GO ABOVE AND BEYOND TO SATISFY OUR CUSTOMERS AND CONTINUE TAKING PRIDE IN OUR WORK!!!! ALL OUR WORK HAS ONE YEAR WARRANTY FOR LABOR AND EQUIPMENT. 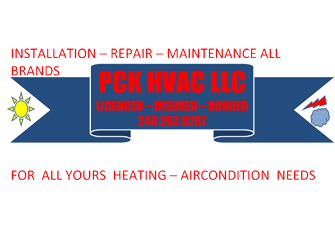 WE ARE FAMILY OWNED AND OPERATED BUSINESS WITH A LOT OF EXPERIANCE IN THE HVAC INDUSTRY. THIS COMPANY IS BUILT ON REPUTATION BY ONE MECHANIC AND A LOTS OF HAPPY CUSTOMERS THAT WERE OUR BEST SUPPORT TO BECOME BIGGER AND STRONGER. WE ARE DONE WITH THE JOB WNEH YOU ARE HAPPY WITH THE JOB. I ALSO WANT TO THANK ALL MY CUSTOMERS WHO WERE MY BEST SUPPORT OVER THE PAST YEARS .